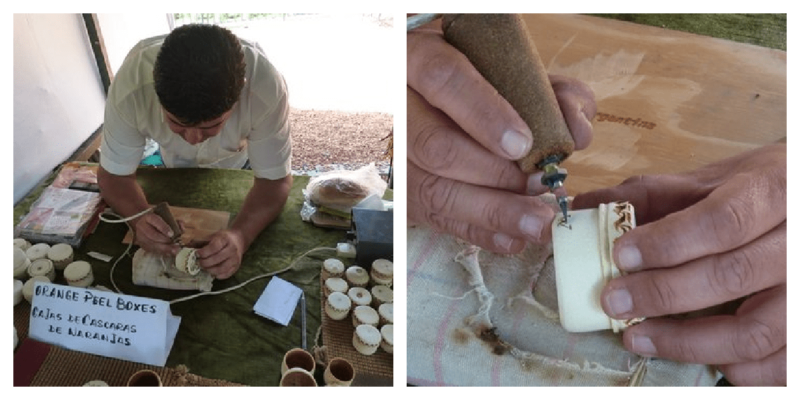 While traveling around South America, I was blown away by the the amazing handmade goods that I found, many of which reflected local traditions. While I could go on endlessly about the beautiful and interesting places you could go to buy unique handmade gifts, here are five of my top picks to buy handmade goods in Bolvia, Argentina, Peru, and Ecuador. This was one of the first handmade shops I visited on my trip, and definitely one of my favorites. Artecampo has several rooms full of gorgeous products made by women in rural parts of Bolivia, and part of the proceeds goes back to them. From pillowcases to ceramics, you can find beautiful goods to decorate your home. My husband and I ended up purchasing an adorable doll made out of corn husks and natural dyes (the one on the left at the picture on the top of this post) and a clay owl wind chime. One of the things La Paz is best known for is for its plethora of shops selling alpaca goods. If you are looking to take a break from the hustle and bustle of the capital of Bolivia, tucked away is an adorable little cobble-stoned street called Calle Jaen which is chock-full of little artisans shops, a few museums, and cafes. I stumbled upon the shop Manos Nativos (Native Hands), which sells a variety of handcrafted goodies made by locals. I enjoyed talking with the shop owner, who explained the meaning behind some of the items being sold, and I was blown away by the vibrant leather goods, jewelry that showcased local traditions, and handpainted cards. I also purchased a bracelet repurposed from a silver knife. Outside a cemetery might seem like an unlikely location for a market, but every Saturday and Sunday locals and tourists alike come to shop at the craft market held just outside the Recoleta Cemetery (which is probably most well-known to many as being the burial site of Evita). Here you can find great deals on beautifully crafted jewelry, handmade leather goods, traditional instruments, and cups for mate (the favorite Argentinian beverage). It’s also a great place to catch a tango performance. The Center has a museum where you can learn about traditional weaving and the entire process, from making the wool to the finished product, as well as a store where you can purchase clothing and items for the home and watch local weavers in action. I was stunned at the complexity and detail that goes into each weaving and the beautiful colors of the natural-dyed yarns. Their work is truly remarkable and high quality. I had the pleasure of taking a one-day class here, which I highly recommend you check out if you are in the area and have the time! Did you know Panama hats are actually made in Ecuador? 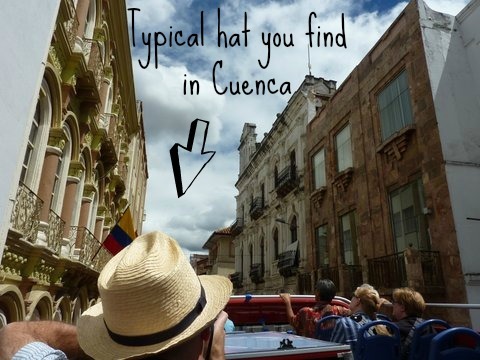 I was surprised to learn this while visiting the colonial town of Cuenca, home to such hat shops. No visit to this beautiful city is complete without a visit to one of them. I went to the Homero Ortega shop, which has been around for several generation. They have a museum where you can see the entire process of how these hats are made and can even watch them being molded and sewn. 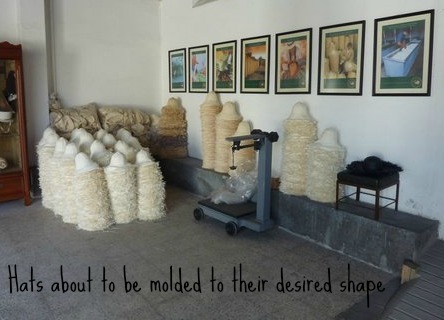 The hats are beautifully crafted, and the entire process can take anywhere from about a month to several months from start to end, depending on the quality. I bought one of the “lower-end” ones which is still incredibly made and was surprisingly inexpensive (they cost as little as just over $20). Even if you don’t plan on making to Ecuador, they do ship their hats internationally! What types of places do you like to shop at when you’re traveling? I love handmade goods! I like getting to know the artists’ who made them. Me too, it is always interesting to hear their stories and how they got started. Beautiful! And how fun to learn to weave. What a great trip it sounds like you had. Thanks for sharing. Learning to weave was incredible, I would love to go back and take more classes. Hope you have a lovely weekend as well!